2015 Guigal Ex-Voto Blanc for $75?? That's either a typo or they hired Mimik to write the catalogue. That aside there are a few interesting wines in there. It has to be a typo. If not, there will be a race to back up the truck on that wine. It's probably $375. It could also be the regular negociant label white Hermitage. I was at Castello di Ama and they were selling the 2014 L'Apparita for €185 at the cellar door. This translates to CDN$280, so LCBO price is not unreasonable. $129 USD from Wine Cellarage in NY. Wine Cellarage doesn't have inventory and $129 is a futures price requiring minimum order of 6 bottles, so not exactly the same thing. Nevertheless, I have no doubt that some US retailers will sell for less but merely pointing out that in this case LCBO is selling cheaper than if you were to get the same wine directly from source. The current price for ex voto is $69 for the 2013, so it is not an incorrect price for the 2014 and represents a price increase. I would agree with Steve in that it's probably a negotiant label ( just bought Chave Selection at that price), however any search I do for this online comes back at 2x and up, so maybe...? Upon further digging in the LCBO api product database, these are the cspcs for ex voto (not all will come up in a search of the LCBO site). I was looking only for the one they had in the pdf. I expect someone from the KGBO will see this thread. True, but the damn was already broken. Thanks Mim! I wasn't aware of the "H" rule. We also visited Castello di Ama 2 weeks ago and Lorenza did not charge us for any of the wines we drank. I guess we should be appreciative. But I saw 2015 L'Apparita at Bruno Dalmazio's enoteca in Montalcino priced at 155 Euros, and the two Chianti crus were priced at 160 Euros.. The small price difference reflects volumes bottled. Whatever price you use, it seems that the $250 Classics price is not horribly out of line with home-market pricing. In any case, I did not think the 2015's were worth the price. You'd do much better sourcing older vintages in the US. And if you want the 2015, then wait for the launch blitz to subside and see what promotions you find because there was quite a large number of bottles produced. I tasted L'Apparita years ago with the producer and Vinaigre(mtl formumite) when she came to Montréal. I believe it was the 2004 vintage. The wine was nice and elegant but not at all worth the 149$ price tag they were selling it for back then. My merlot-of-choice is Ricolma. It is less elegant and more powerful compared to L'Apparita but, at roughly 50 Euros, it is better value. And when I want a merlot with elegance, I reach for Piantonaia. I have 24 bottles of various vintages of Ricolma and I'm always on the lookout for more. A taut and structured Merlot. The 2006 is drinking beautifully right now with a 1-2 hour decant. Absolutely, and not just the 2004 but the 2014 as well. There's so much good wine in Tuscany that we did not find the Castello di Ama wines were worth the price of admission. You're paying for the brand name for what it's worth and from a QPR perspective, it fell short. I've talked to Guigal's rep (Vinexx) and they have the Guigal Hermitage Blanc as being released in Feb Classics. Be interesting to see what is here. Wow, $129 for Monbousquet? I tried one from Total Wine in Fort Myers over xmas, was USD$69 (Total's prices seemed generally in line with LCBO, i.e. sucky), it was enjoyable, but not $129 enjoyable. The LCBO are going to get a lot of returns from people who (rightly) believe they were misled. How the hell can the LCBO make this kind of mistake? That's a rhetorical question! Did they indicate anywhere how many bottles were available? Normally they do on the main Vintages.com site but I could not find it in the product list. I expect there was a good reason for this. It was showing 85 bottles? I wouldn't be surprised if the LCBO pulled these wines from this release and we see some Guigal Hermitage Blanc in the near future in Classics. I was also on at 8:30. There were 31 showing when I tried to add 4 to my cart. They were gone by the time I hit the button. Oh well, more money to spend at the SAQ, assuming I don't get shut out there too. I'm guessing people will be delivered the regular Hermitage, not the Ex Voto. Wouldn't be the first time the LCBO has made a mistake like this. Remember last year when they released Fourrier Gevrey Chambertin? I ordered 12 and it turned out to be a totally different producer. 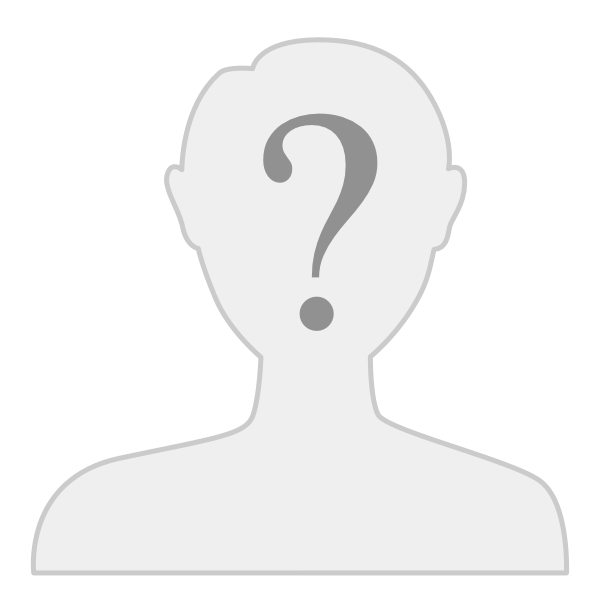 Please be sure to let us know if it is the Ex Voto that you get delivered. I’m curious but did anyone call the LCBO to find out about the ex-voto? Should have done this in the first place. Thank you for your recent February Classics Collection order. We regret that there was an error in our publication for the E. Guigal Hermitage Blanc, LCBO 125567. 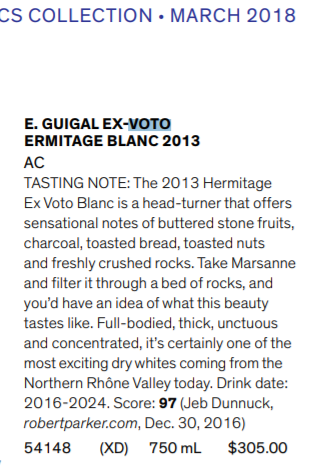 This was published as the E. Guigal Ex Voto Hermitage Blanc, which is an error. The product is the E. Guigal Hermitage Blanc. We ask that you kindly respond to this message to let us know if you would like to cancel this product from your order and have the associated charge returned to your credit card. Thank you, and please accept our sincere apologies for this inconvenience. Scroll up. Fowler52 talked to VineXX back on Jan 25th and was told it wasn't Ex Voto. I don't think it's a big surprise given the price it was at, but it was worth a try just in case. … with a third-world organisation!